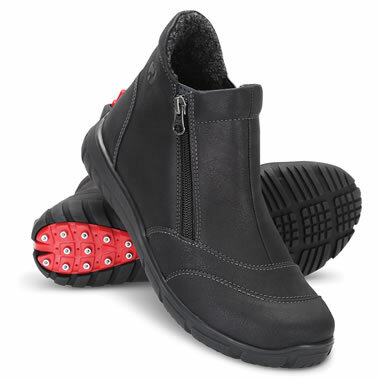 Available only from Hammacher Schlemmer, these are the snow boots with reversible cleats embedded in the sole. 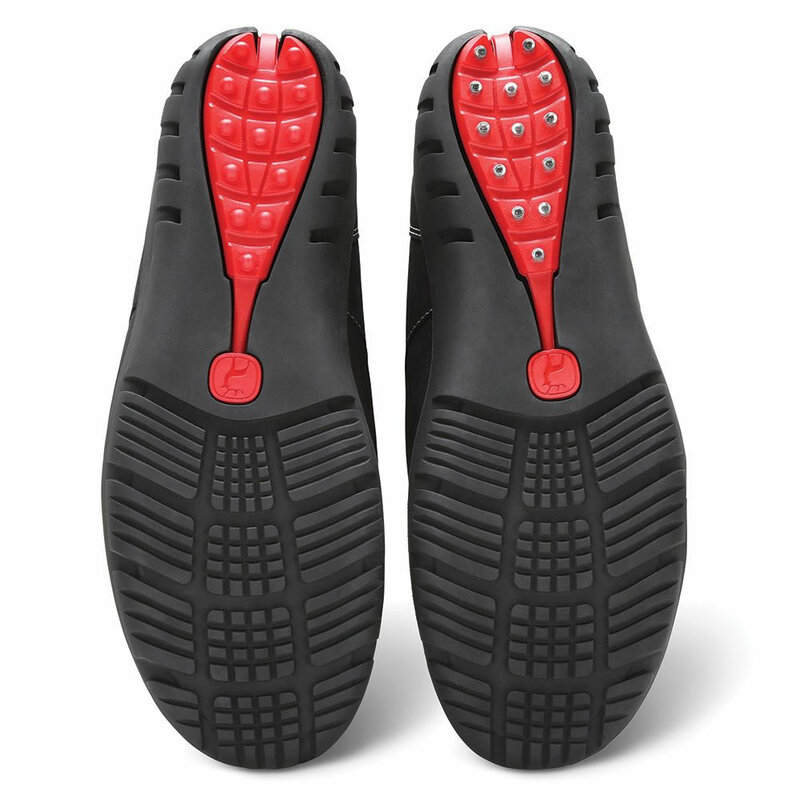 Their patented design consists of 13 steel-studded cleats on each heel that provide traction on snow, ice, and slush when deployed, yet are set flush with the sole when reversed. The uppers are made from water resistant Nubuck leather and rise 1/2" from the heel; a side zipper makes for easy on/off. They are lined with shearling and have removable felt insoles. Black. Women’s. Whole sizes 6-10. If in between sizes, order the next size down. The Instant Convertible Cleated Boots (Womens) comes with The Hammacher Schlemmer Lifetime Guarantee. Items that we sell are guaranteed for their normal life under standard non-commercial use.